TNPSC Civil Judge Exam Syllabus 2017, TNPSC Civil Judge Previous Solved Question Papers Download PDF – Tamil Nadu Public Service Commission (TNPSC) has published a recruitment notification to recruit Civil Judge Posts. Candidates who are eligible and interested they can apply online mode by visiting the official site before the last date. 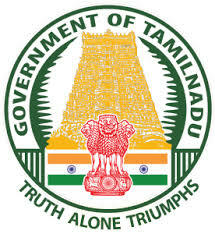 Applicants also check other details related to TNPSC Civil Judge Exam like how to apply, selection process, educational eligibility, previous question papers of Civil Judge, Syllabus for TN Civil Judge Exam and more details check below. The selection process of TNPSC Civil Judge based on written exam, so candidates must check Civil Judge old question papers, syllabus, exam pattern, online books pdf to get a high score on the exam. Here I am giving links to TNPSC Civil Judge Old Question Papers, Madras High Court exam. The Code of Civil Procedure, 1908; The Code of Criminal Procedure, 1973; The Indian Evidence Act, 1872; The Principles of Pleading and The Constitution of India. The framing of issues and writing of Judgements in Civil Cases. The framing of charges and writing of Judgements in Criminal Cases. At the Viva-voce, the candidate’s “General Knowledge” and the knowledge of Law, grasp of Procedural Laws and Principles of Law and suitability for appointment to the post will be tested.